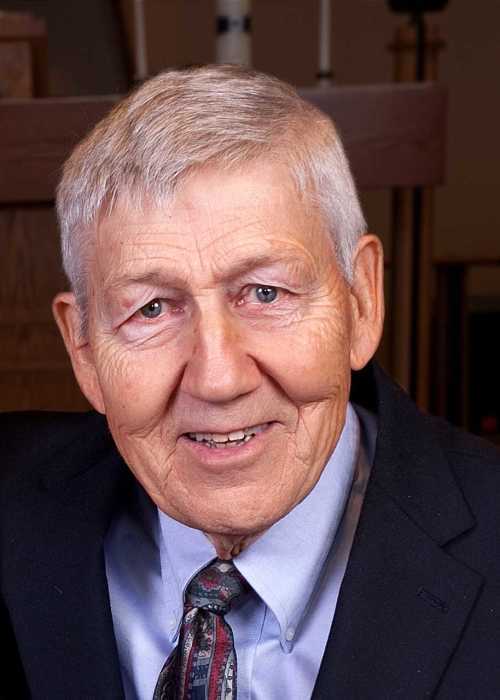 Roberton Henry Seeman, of Maple Grove, formerly of Spring Lake Park and Blaine, passed away on Monday, January 14, 2019 in Robbinsdale, MN at the age of 86. Visitation will be from 6 to 8 PM on Sunday, January 20, 2019 at Miller Funeral Home, 6210 Hwy 65 NE, Fridley, MN 55432. The funeral service will be held at 11 AM on Monday, January 21, 2019 at Sunrise United Methodist Church, 7687 Long Lake Rd, Mounds View, MN 55112 with Pastor Andrew Church officiating. There will be an hour of visitation prior to the service and a luncheon will be served following the service. Bob was born in Utica, MN to Ralph and Lucille Seeman on June 23, 1932. He graduated from St Charles High School. Following high school, Bob served in the US Navy aboard the USS Pickerel during the Korean War. He then married Ardith Megraw on September 24, 1955 in Rochester, MN. In addition to being a devoted husband and father, Bob worked as an engineer at Honeywell for over 35 years and also earned his MBA at the University of MN. He was a long-time member of Sunrise United Methodist Church. Bob was very generous with his time, volunteering at Habitat for Humanity, tutoring at local schools, and serving on several church and association boards. At the family cabin in Aitkin, MN, Bob enjoyed relaxing with family and friends. He especially enjoyed the time he spent there with his grandchildren and great-grandchildren. Bob is preceded in death by his loving wife of 62 years, Ardith, his son-in-law, Daryl Bovy, his parents, Ralph and Lucille, and his brother, Jerry. Bob is survived by daughter: Brenda Bovy; sons: Steve Seeman (Denise) and Ron Seeman (Jackie); grandchildren: Kristy Nutter, nee Bovy, (husband, Derek, and children Griffin, Wyatt, Teagan), Melissa Strommen, nee Bovy, (husband, Samuel, and children Zoey, Taryn), Miranda Bovy, Jeremy Seeman (Jessie), Lindsay Seeman, Calli Seeman, Ryan Bovy (Tess Arvesen), Nick Seeman; sister-in-law, Marilyn; nephews: Mike Seeman (Janney), Jon Seeman (Cathy), and Jeff Seeman (Colleen Zwach). Pallbearers will be Kristy Nutter, Melissa Strommen, Miranda Bovy, Jeremy Seeman, Calli Seeman, Lindsay Seeman, Ryan Bovy, and Nick Seeman. The family wishes to extend our sincere thanks to Silvercreek on Main in Maple Grove, and the staff at North Memorial for the help, care, and support they provided. If desired, memorial contributions may be made to the Alzheimer’s Association or Habitat for Humanity.